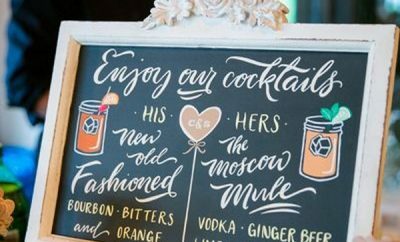 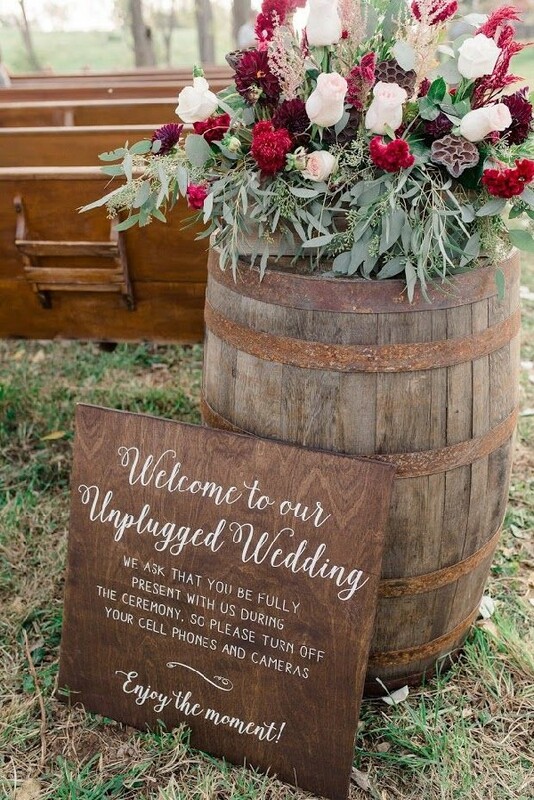 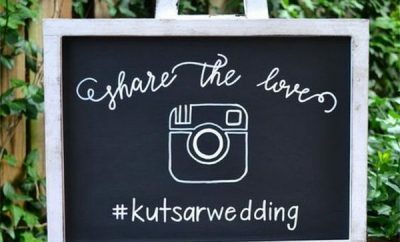 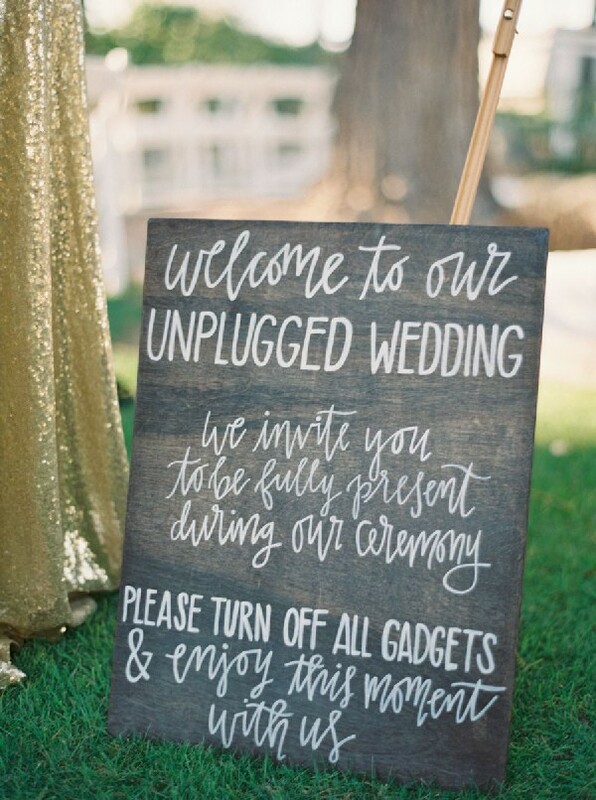 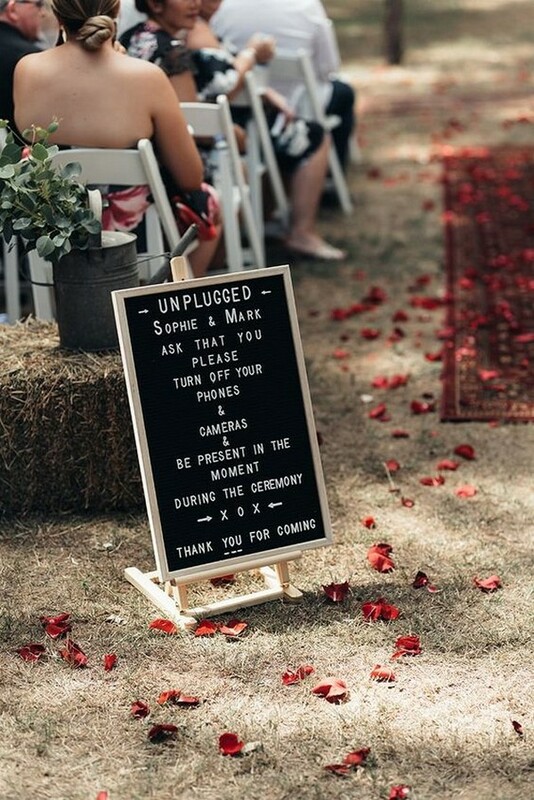 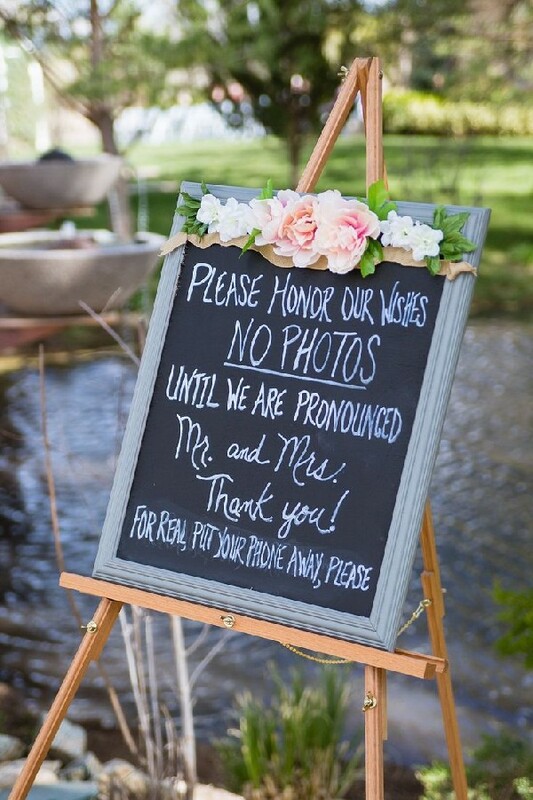 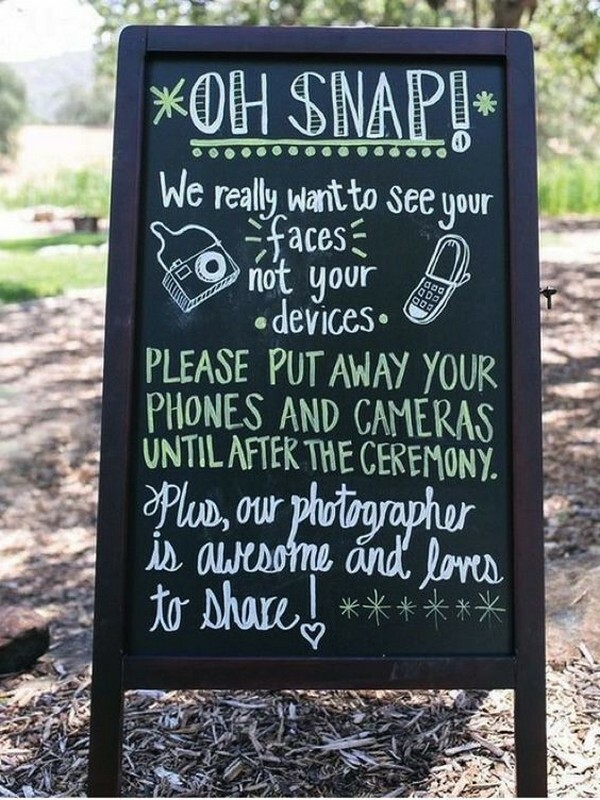 There’s nothing wrong with wedding guests snapping some photos at the reception — that’s what the hashtag is for! 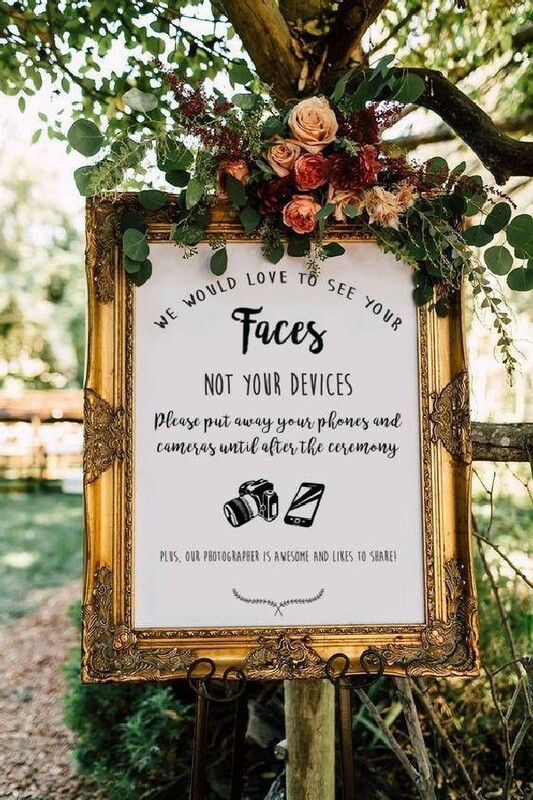 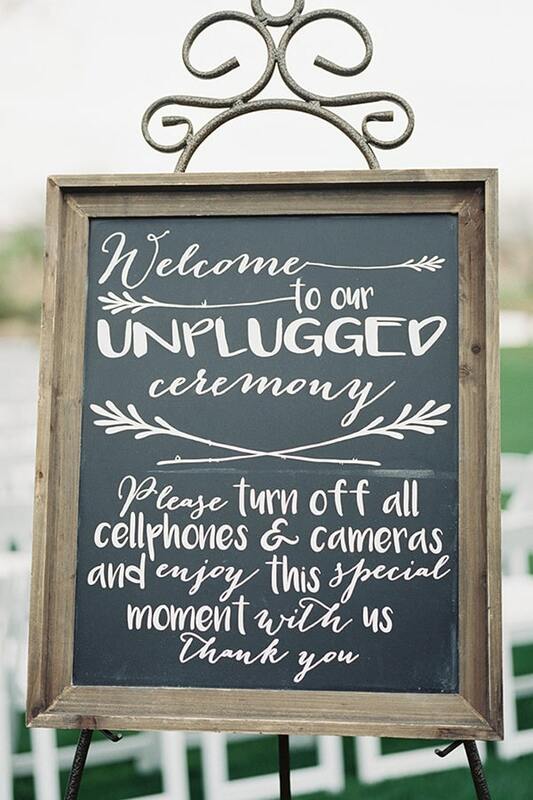 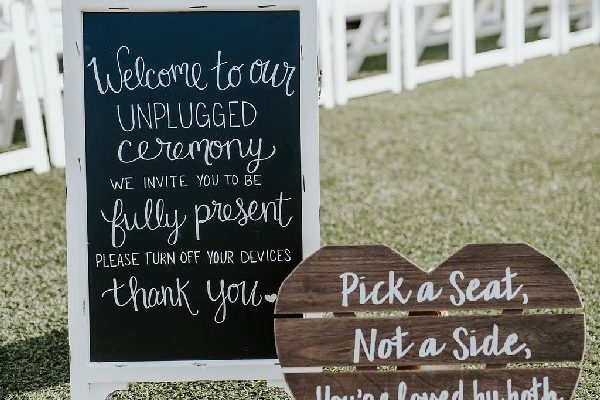 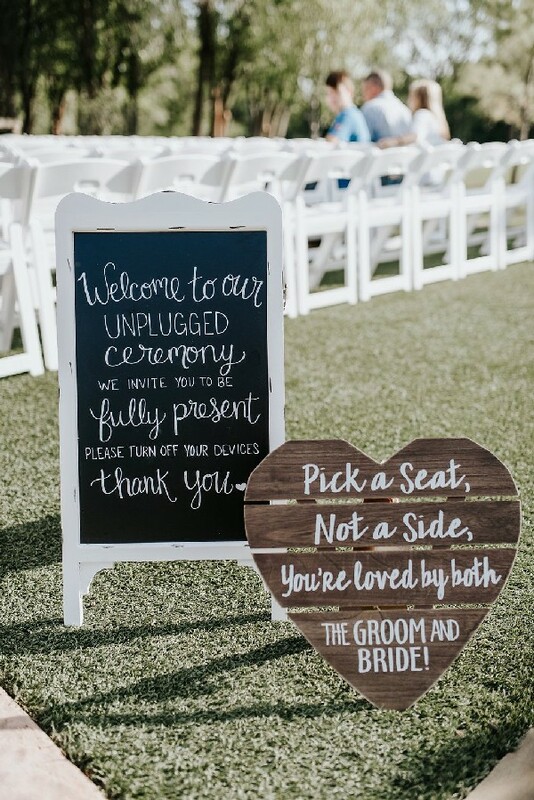 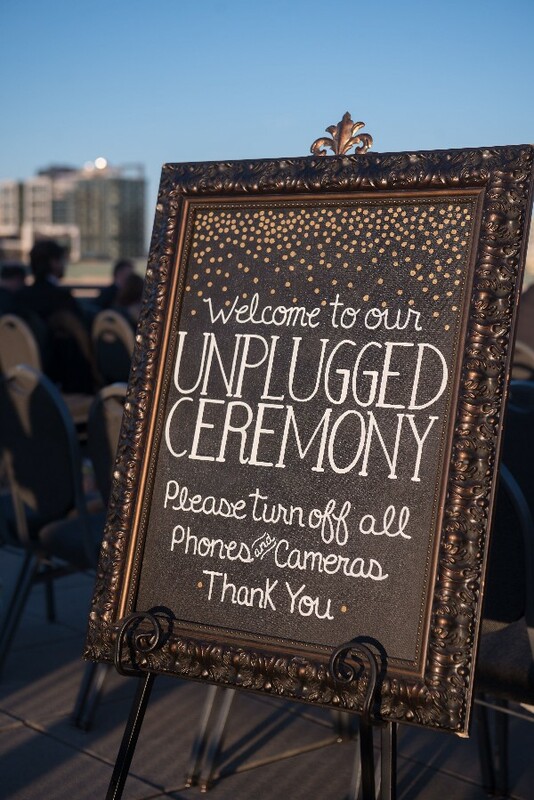 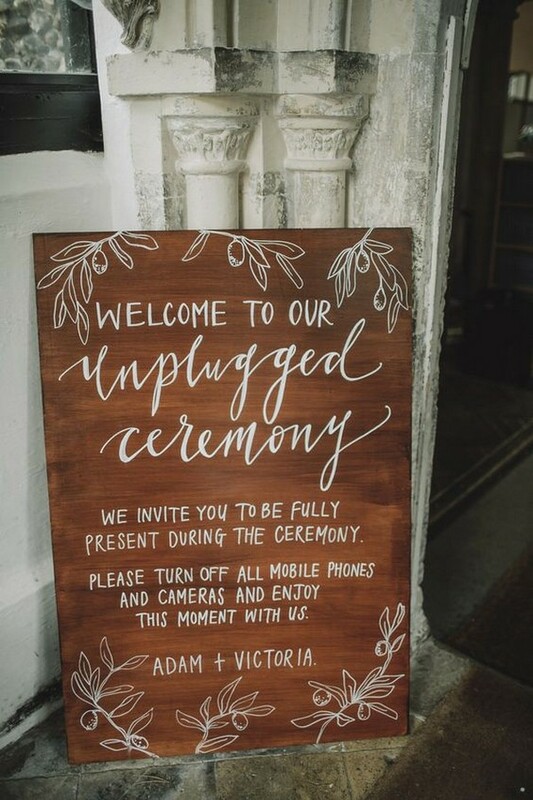 — but people who are glued to their smartphones throughout the ceremony can ruin professional pictures, while also taking others out of the moment. 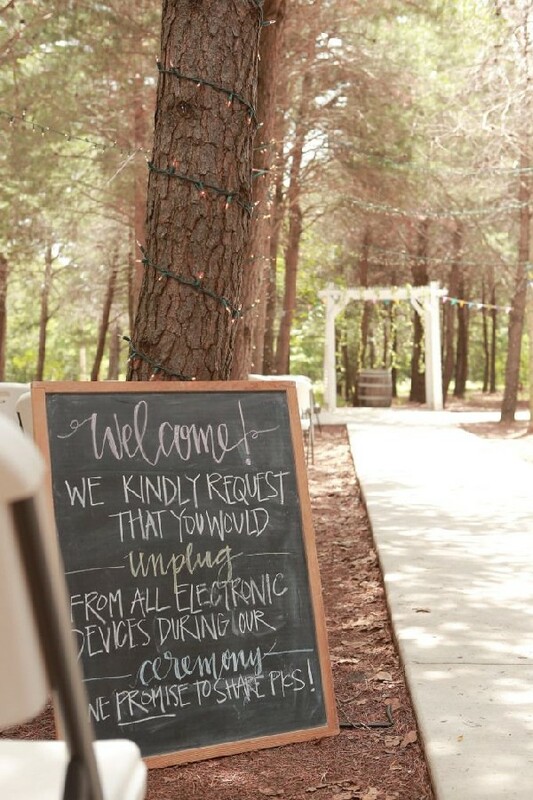 Encourage friends and family to stay present and device-free by posting one of the 28 clever signs below.